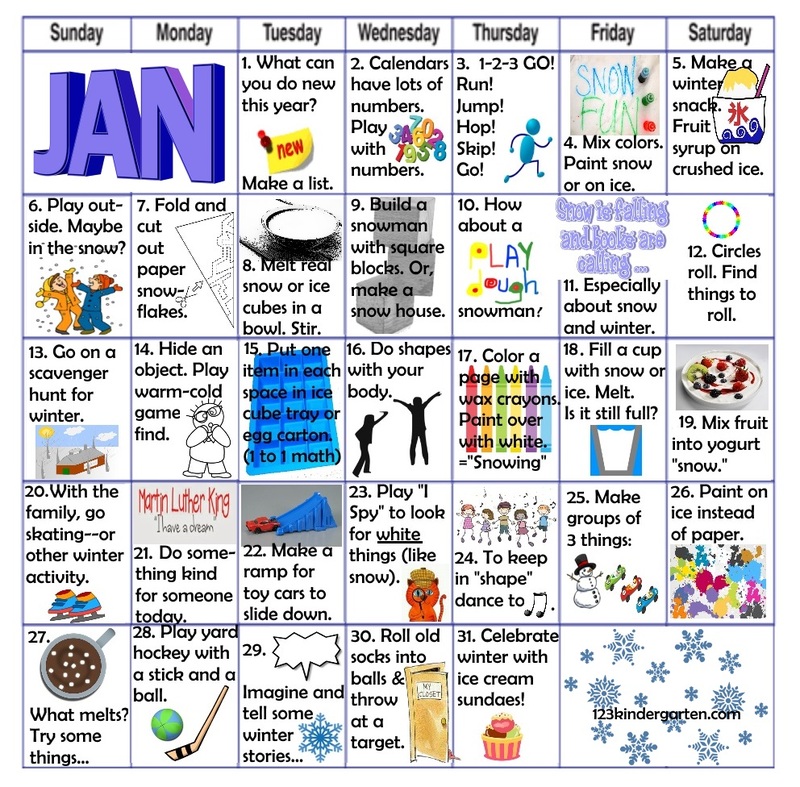 Just like snowflakes can add up to a big pile, so can minutes of fun and play add up to big learning. This month, no matter what the weather, here are some activities your child can do at home or kids can do in a care center. These are child-tested and family-approved. Print off the calendar below and put it on the fridge or bulletin board. Adapt as needed or use them to inspire different kinds of play. This is hands-on play or should that be mittens-on?